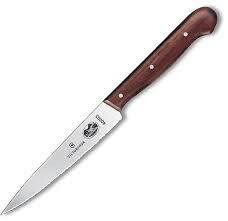 A steak knife is used at the table (as opposed to the kitchen) to cut through especially tough foods, such as meat. 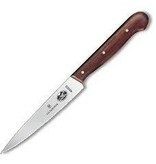 Our classic, traditional rosewood handle is designed to provide maximum comfort at all times. High carbon stainless steel blades are hand finished in Switzerland by skilled craftsmen.